DOKTOR KRANK: We salute you! 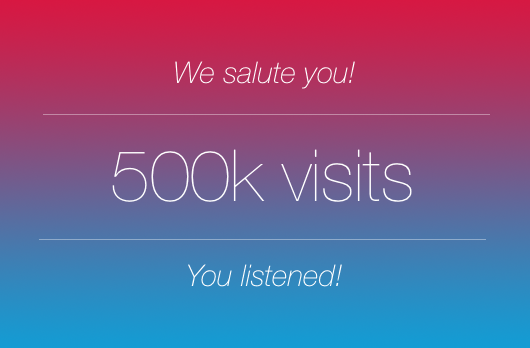 500k visits! You Listened! We salute you! 500k visits! You Listened! After a very loud silence Doktor Krank Krew is ready again to explore freshest and kewlest parts of the electronic flavoured musicverse. Loads of exiting events took place recently and we're on a mission to deliver you what's what and where's where. We would like to thank you for keeping us valid and visiting blog for the massive amount of 500k times through the course of the last few years. Currently, we are reinventing the concept so please follow us on our social media to get instant updates and if you really, really like what you hear, please share our accounts (the love) with your mates!